Growing up with his father as The Duck Commander, Jase Robertson soon realized that if he wanted to spend time with his dad, he’d have to meet Phil in the blind. It soon became evident that Jase felt the same passion for duck hunting as his dad. From the age of 8, Jase spent as much time in the woods as he possibly could, even missing the maximum number of days from school each year that the law would allow so that he could be out there. Even today he shows that same passion and drive to meet his dad in the blind each and every day of duck season for one common goal – limiting out. One of his favorite things about duck hunting is the unique aspect of each duck. He has learned to appreciate each duck's own strengths, weaknesses, and beauty. According to Jase, his favorite duck is the one he currently is after, regardless of species or gender. Since Jase believes in the Resurrection, he looks forward to his dream hunt with Jesus and Apostles Paul and Peter. He believes that hunting was God's idea anyway (Genesis 9:1-3). As for now, Jase realizes that every time he goes on a hunt with his dad and his own two sons, Reed and Cole he already is on a dream hunt. Family is extremely important to Jase. He particularly enjoys playing golf with his brothers, who can all be very competitive. In fact, the Robertson boys always have played games and sports together. They also boast of being huge LSU fans and spend every game either in the stadium or in front of the TV watching their Tigers play ball. Jase travels to various speaking engagements all across the country. He is a very talented and entertaining speaker who touches the lives of many through his stories of hunting experiences, knowledge of ducks, and witty anecdotes about life – along with the hope he has found through his Savior, Jesus Christ. Some of these stories are highlighted in his book Good Call. Jase lives in West Monroe, Louisiana, with his wife, Missy, and their three children: Reed, Cole and Mia. Jase and his family are currently starring in the A&E hit series “Duck Dynasty”. A&E Duck Dynasty star Tim Guraedy is best known to the show’s millions of hard-core fans as “Mountain Man,” For to know “Mountain Man” is to know a man whose Christian faith is a big part of who he is. “Life’s not easy, but I have God in my life and it’s so much better. So much better,” he has said. This faith, as well as his recent celebrity, is now allowing him the opportunity to reach out to people who need inspiration: “I love being able to actually go to schools and give speeches about bullying, drugs, and abstinence. It makes my soul feel good,” Guraedy continued. Guraedy is also an avid outdoorsman, enjoying both fresh and salt water fishing, as well as hunting for everything from wild boar to, well, ducks, of course. Kingdom Dog Ministries is a non-profit organization dedicated to teaching obedience and spreading the Gospel of Jesus Christ through the unique use of Labrador Retrievers. Using dogs as a visual illustration, KDM blends humor with simple and timeless biblical truths to show the power of obedience in the life of the believer. Our desire is that you will both learn the power of obedience and gain a desire for a life of submission to Jesus Christ. Don McGee has been a Fort Smith area businessman since 1982. Currently he and his wife reside on a ranch outside Vian, OK where they breed and show mules. Don has been an active hunter all of his life and an outfitter and guide since the early 1990’s. He has made over 40 trips into the Rocky Mountains and has spent over 2 years collectively in the wilderness back country. Since surrendering to Jesus Christ in 2004, he has been serving in ministry since 2006. 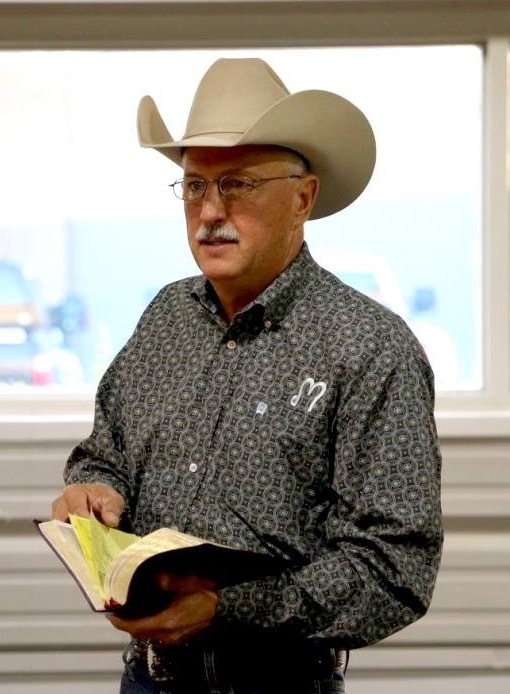 Don is actively serving in Oklahoma, thru their chuckwagon ministry and also the Pinto Horse Association, OK Pinto, and OK Buckskin Association. He also facilitates Greenwood Bible College classes their ranch in OK. His passion is to see souls surrendered to Christ Jesus and be set free thru the Atonement of Christ. Gator Country will bring live animals 10 ft alligator, Caiman soft shell turtle, skunk, prairie dog, bull frogs, baby alligators, snapping turtle, copper head snake, cotton mouth snake, diamond back snake, diamond back rattle snake, timber rattle snake, coral snake, Columbia red tail boa, tiger reticulated python, and savanna monitor. Picture area with reptiles and a kids wading pool with small turtles and bull frogs. Steve Gray, Roland, OK native and owner of Gray Brothers Equipment, has been the Senior Pastor of Roland Pentecostal Church since 1999. Steve and his wife, Bridget of 37 years, live on a beautiful farm where they raise cattle and cutting horses. Through his passion for Christ and his new-found love of horses, he began to use his calling as a minister to connect with those that my not attend a traditional church setting. Steve demonstrates his cutting horse’s innate ability to respond instantaneously, matching a cow's every move, head to head, in order to contain the cow. The harder a cow tries to get back to the herd, the more skill, athleticism and cow sense are required of the horse. All the while, Steve has no control of this horse’s reins and must have faith and fully trust the relationship he has built with his horse. In life, we are faced with the question: Who has the Reins? 41 Years on the air and still going strong………. Jimmy Houston, Americas Favorite Fisherman, is in his 41st year on national television. For 20 years, Jimmy Houston Outdoors consistently ranked as the #1 outdoors show on ESPN. Jimmy Houston Outdoors now airs on CBS SPORTS; WFN, Discovery Channel, You Too America; My Family TV; Walk TV, Action Network; Heartland TV, and The AT&T Sports Southwest network. Jimmy Houston Adventures is on You Too TV; JHL.TV; My Family TV; Hunt TV and on Destination America and the American Heroes Network in the 3rd quarter. More networks are added as they become available. Jimmy is well known as the hardest working pro in the country. In addition to working a lot of trade shows and store promotions, he speaks at a lot of churches around the country. Since winning The Oklahoma State Championship as a college senior in 1966, Jimmy Houston has gone on to win over a million dollars in bass tournaments. He has fished 15 BASSMaster Classics and won the B.A.S.S. Angler of the Year title in both 1976 and 1986. A legendary angler, Jimmy was inducted in to the National Freshwater Fishing Hall of Fame in 1990 and the Professional Bass Fishing Hall of Fame in 2002. He was inducted into the IGFA Freshwater Fishing Hall of Fame and the Legends of the Outdoors Hall of Fame in 2008. Jimmy was named King of Sports for Fishing in 1989. In June of 2004, the Jim Thorpe Association recognized Jimmy as the Jim Thorpe Man of the Year. Jimmy was recognized as the 2013 Distinguished Alumnus of NSU. In 2016, he was inducted into the Oklahoma Sports Hall of Fame. Also in 2016, he celebrated his 50th year of fishing national Tournaments. In 2017, he was awarded the National Lewis and Clark Conservation Award along with Bill Dance and Roland Martin. In 2017, Jimmy was presented a Bass Pro Shop Angler of the Century award. Jimmy continues to compete in the FLW Tour tournaments fishing on the Quaker State Team. Jimmy has written five books including "Caught Me a Big'un" which was a #1 selling fishing book. "Hooked for Life" and "The Reel Line" are spiritual and inspirational collections taken from fishing situations. His latest book, "Catch of the Day", is a 365 day daily devotional built around fishing tips, tales, and events. An updated “Catch of the Day” has been released in 2012. Chris, is one of America's top female bass anglers and was named to the Professional Bass Fishing Hall of Fame in 2005, the first woman named to this Bass Fishing Hall of Fame. In 2008, she was inducted into the Legends of the Outdoors Hall of Fame. They have a son, Jamie, and daughter, Sherri. Both are active in the company's businesses. They have three grandchildren and four great grandchildren. Alex Rutledge is a native of Birch Tree, Missouri. He was born and raised around the outdoors all of his life. Alex and his wife, Lynda have been married 23 years and have a daughter, Mallory. Alex is an accomplished turkey, deer, elk, and predator caller. He holds several turkey calling titles. Alex thanks his brothers and father for teaching him about the great outdoors.Alex began his career in the outdoor industry over 29 years ago. His career began when he won the 1988 National Gobbling Championship. At this time he was employed by Hunter’s Specialties, as a field staff member.What's something exciting your business offers? Say it here. Throughout the years he has always been affiliated with major outdoor manufacturers and promoted many of their products in his endeavors. Alex is arguably one of the best whitetail and turkey hunters in the nation. Alex, being the youngest (at that time), was inducted into the National Outdoors Hall of Fame in 2007.Alex founded the nationally known T.V. Hunting show, Bloodline with Alex Rutledge. He is the owner and host of his local hometown radio show, Alex Rutledge Outdoors Radio which airs on 8 networks. Alex continues to be aggressive in the outdoor industry, making appearances for churches, schools, and many other outdoor events, including major box stores.Currently, Alex and his family have started a new endeavor. They have created a trademarked name in the outdoor industry. The name is “American Roots Outdoors TV”. AROTV will depict and capture the reality side of hunting, fishing, and the cultures of friends, faith, and heritages, as well as our Constitutional rights. AROTV is about “US”, every true outdoorsman or woman, and American Christians. Our motto is, “When your roots are deep and strong, there is no reason to fear the wind”. John has traveled to over 30 countries and has spoken to well over a million people in person. John's message of hope and inspiration along with the world record feats of strength such as blowing up hot water bottles until they explode, ripping phone books or breaking out of handcuff will keep the audience on the edge of their seats no matter what the age. Johns passion is to see people meet their full potential and live the life they were called to live in Christ. Brian Jackson, a Cherokee, Creek and Seminole Native American, is a Nationally known motivational speaker and 12 time Guinness Book World Record holder who uses true stories of how he has turned struggles into success. 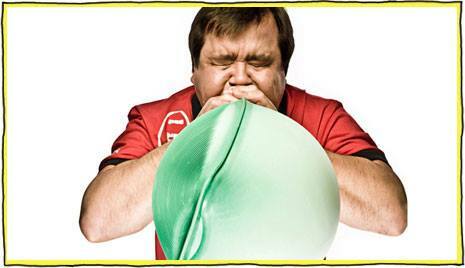 Brian has blown up over 6000 hot water bottles in his career, held the Guinness World Record for "Fastest Hot Water Bottle Burst" for over 3 1/2 years and the Guinness World Record for Blowing up until bursting 3 hot water bottles in 1 minute 8 seconds! He has been known to break walls of 2" concrete bricks, even on fire at times, has bent 1 1/2 " of steel rebar over his head, torn a deck of playing cards in half in 3 seconds, and is known for making some awesome balloon animals! His most impressive feat to date, "Heaviest Vehicle Lifted with Breath" 2520 pounds! Believe it or not, Scott Mendes was born on the 4th of July (July 4, 1969) and emerged as The (real) American Cowboy, even at birth! Scott Mendes is a leader’s leader, a cowboy’s cowboy, a pastor’s pastor, and a visionary with a mission to bring a spotlight on, partner with, and to encourage the men and women who are doing mighty good works in business, ministry and family entertainment. He is well-known as a Professional Rodeo Cowboys Association and National Finals Rodeo World Champion Bull Rider, speaker, film and television producer, commentator, and for his work in motion picture as a stunt rider and actor in movies “City Slickers,” “American Outlaws” and “Nail 32.” Scott has made hundreds of television appearances and has reached global audiences in excess of millions of viewers. 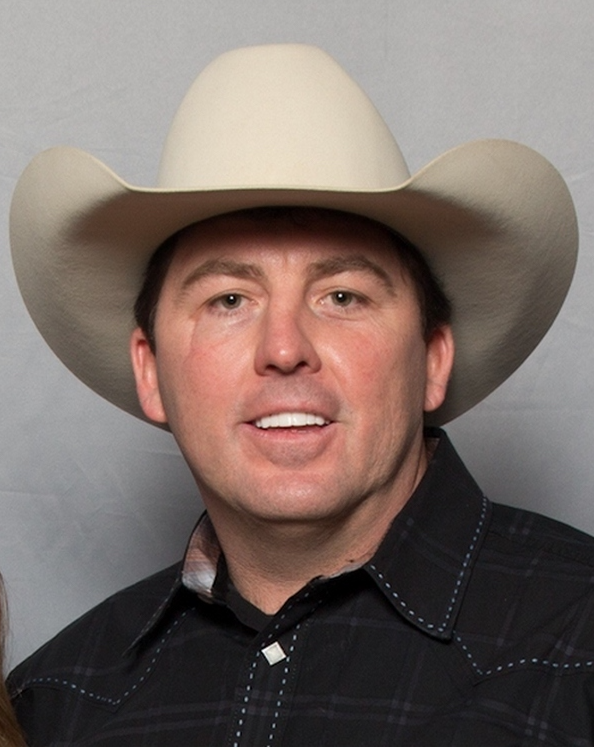 Scott is spearheading the “American Cowboy Movement” via Western Harvest Media to bring back classic values, leadership excellence, and faith to reach the next generation of life champions and also working with legends of the past and present in rodeo, sports, entertainment, and entrepreneurship. His greatest accomplishment is his marriage to an angel for 23 years - his wife Angel and raising their three children. “My desire is to see all men and women come to know Jesus Christ and learn His Word,” says Scott. Scott is dedicated to reaching the youth of America and all that love our Western heritage. He desires to share with individuals and families through the unconditional love of God and to equip people with the life skills necessary to be a productive and positive influence in their communities. He wants to leave a legacy of people focused on God’s Kingdom. He truly believes that the American Cowboy community can once again be an international symbol of what our country truly needs – heroes with badges of Honor and Integrity.